Amid calls for his resignation over a racist photo in his yearbook and an admission that he once darkened his face with shoe polish, Virginia Gov. Ralph Northam invited two black leaders to the governor’s mansion to talk about a way forward. Dr. Charles Steele, Jr., the president of the Southern Christian Leadership Conference, which was founded by Dr. Martin Luther King Jr. and SCLC board member and friend of King, Dr. Bernard LaFayette, spent exactly an hour Wednesday afternoon with the governor and his wife. Steele told CBS News that he was first contacted by a member of the governor’s staff, who asked whether he’d be open to meeting with Northam. Then, Northam reached out to Steele by phone soon afterward, to personally invite him for the private meeting. “The fact that he invited me said a lot to me – that he was open to receiving me, and that he wanted to talk about moving forward,” Steele said. 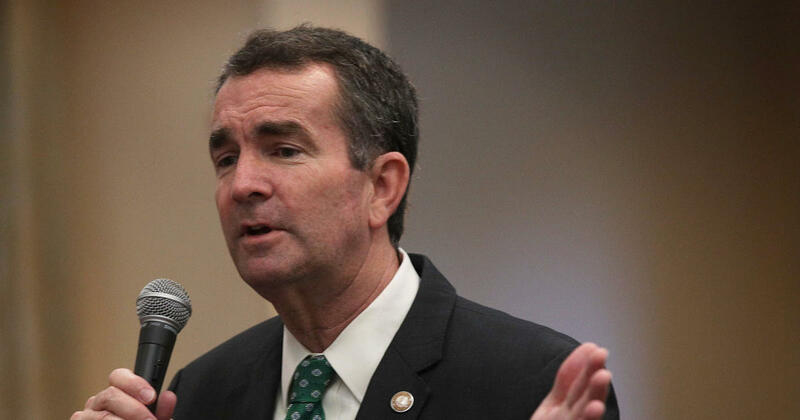 On Saturday, Steele called upon the governor to resign, after the press conference in which Northam revised his initial reaction to the racist yearbook photo, telling reporters that he did not believe he appeared in the photo and he did not know exactly how the picture ended up on his yearbook page. He also admitted that he had once dressed up as Michael Jackson and dabbed shoe polish on his face in the process. “From my perspective, of course this past Saturday, I came out asking him to resign. I will not rescind that,” Steele said. Steele said that Northam opened the meeting by saying, in essence, “I’m here. I’m open. I’m trying to reconcile. I’ve been through a lot.” And Steele was sympathetic. “I can feel that he has been through a lot,” he said of Northam, adding that the governor appeared “raw,” but positive. They not discuss politics or the possibility of resignation — Northam didn’t divulge to Steele whether he was considering stepping down, focusing instead on trying to move forward. During their meeting with Northam, Steele and LaFayette also discussed a conflict resolution program they offer to leaders around the world through the SCLC. Steele offered to provide training to Northam and members of state government as a way of moving forward. Steele says Northam did not go so far as to say his office would accept the offer, but he was receptive and open to it. “We need this at Congress. We need this at the White House,” Steele told CBS. During the meeting, LaFayette brought up his conversation with Dr. Martin Luther King Jr. just five hours before his assassination, and Northam was responsive and respectful throughout the recollection. “I’m working with the governor,” Steele added. “He was open-minded.” Steele has not yet been contacted by Lt. Gov. Justin Fairfax or Attorney General Mark Herring, both of whom are facing their own controversies.